10 Great Reasons to Visit Picabo This Weekend! #10 Breakfast at Picabo Angler is really good and the closer one eats to the Silver Creek the better Everything tastes! #9 The Trico spinner fall has begun and the fish are in pods eating them! #8 The Picabo Flee Market / Garage Sale is this Saturday! #7 It’s always 10 degrees warmer here than up in the Valley! #6 From Picabo you can fish Silver Creek, the Little Wood, and the Big Wood all in the same day! #5 Lunch in Picabo means the best Burgers and Pulled Pork in Idaho! #3 Fly Fishing, Birding, Painting, Photography, Canoeing, Hiking, Picnicking! #2 Brown Trout on Mouse Flies! 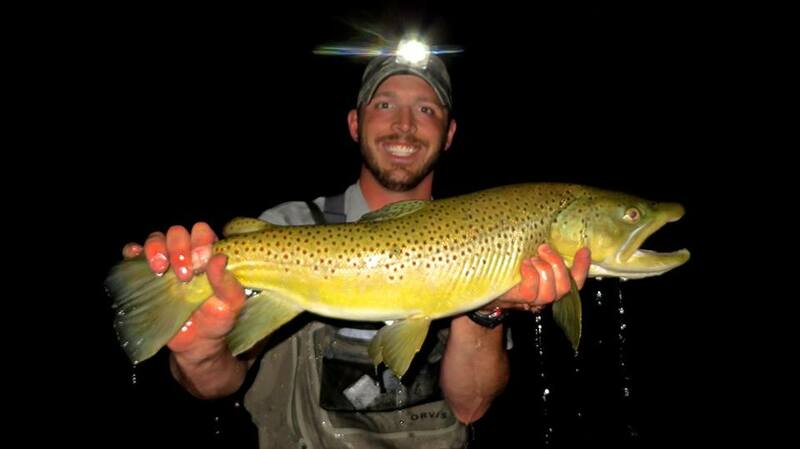 Picabo Angler Nick Anderson with a Mouse caught Brown 2 nights ago.